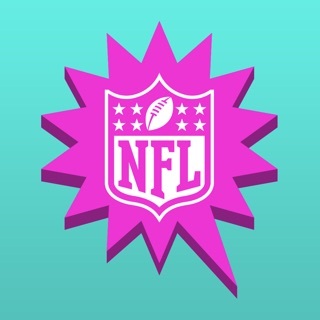 The official app of the NFL is the best, pure football app for any fan, with live local and primetime games, exciting videos and highlights, and replays of every game with NFL Game Pass (subscription required). The NFL app is packed with more video than ever. The NFL app keeps fans fully updated all off-season long, with breaking NFL news, highlights, stats & more. It doesn't matter where you are, the NFL app has you covered. • NFL Network 24/7/365 and NFL RedZone are available for eligible subscribers of AT&T U-verse, Charter, Cox, DirecTV, Optimum, Verizon FiOS and many more providers. All fans can access NFL Game Pass subscription content within the NFL app. NFL Game Pass is a subscription product with features that vary based on location**. The NFL app allows use of AirPlay and Chromecast when viewing all video-on-demand and select live content, including all content within the NFL Game Pass offering. However, the NFL app does not permit outputs from phones of live games, NFL RedZone or NFL Network to external displays via HDMI, Chromecast, AirPlay, Miracast or other similar streaming functionality due to rights restrictions. *Data usage applies for app download and use. ***NFL RedZone subscriptions are charged to your iTunes account and auto-renew every month unless it is turned off from your iTunes Account Settings at least 24 hours before the end of the current period. No cancellation of the current subscription is allowed during active subscription period. Any unused portion of a free trial period, if offered, will be forfeited when the user purchases a subscription to that publication, where applicable. The Services may feature Nielsen proprietary measurement software, which will allow users to contribute to market research, such as Nielsen TV Ratings. Nielsen believes that you should have a choice about whether to contribute to our research and insights. To opt out of Nielsen measurement, you need only to activate the "Limit Ad Tracking" (for iOS devices) option in your devices settings. For web, please visit: http://www.nielsen.com/digitalprivacy to learn more about the Nielsen digital measurement products and your choices in regard to them. The ultimate app for any football fan, NFL Mobile offers an insanely robust experience from the preseason to the playoffs. A smartly designed interface puts the spotlight on colorful photos and videos, and breaking news is easy to navigate and share. The astoundingly long list of features includes drive charts, real-time scores, and live stat trackers. Plus, on-demand games, access to preseason games, and more all become available with purchase of the NFL Game Pass 2016 Subscription, so there’s always something new to watch, analyze, and read. Live streaming works quite well in general. The problems occur when playing back games after they are done, whether it be video or radio broadcasts. If you just play the content, it usually does well enough. However, if you want to skip around in the game, it is very inconsistent, oftentimes resulting in the stream starting over again from the beginning. Let’s say I want to skip back 30 seconds to watch a play again. There is simply no good way to do this and it’s just problematic for the app. Oftentimes you cannot even see where you are in the video because it does not display all the numbers (the game I am listening to reads “02...”, so I know only that I am sometime in the 2nd hour). This makes accurately moving earlier or later in the stream extremely awkward, ineffective, and pretty much impossible. How about adding the now-standard option buttons to skip 15 seconds forward or backward in the stream? This is NOT hard to do. Also, if you have the stream displaying in full screen mode, you pretty much can’t skip the stream forward or backward. You have to decrease the display size, then you can do it, albeit chunkily. It’s remarkable how far ahead MLB is compared to NFL when it comes to streaming content. MLB makes the experience nearly seamless. With the NFL, it’s an unpleasant experience. Verizon mobile customers don’t get nfl network? I second some of the comments below. In addition to being a Verizon mobile customer I’m also a Gamepass subscriber and NFL REDZONE add on in app subscriber. Up until this last Thursday September 20th I was able to watch NFL Network via my WiFi Network. I just selected the NFL Network option and the broadcast came on. Then after Thursday’s update I continually get the “select TV Provider” option. First of all if I had NFL network on cable why would I watch it on my phone?!? Secondly as a Verizon customer I was under the impression I could watch the NFL Network without a tv provider. Furthermore why would this be an option up until sept 20th but now NOT an option. If written and received the trope Nfl App help advice: clear browser, sign in sign out, reinstall app etc. please feel free to reach out to me and/or update the app so this can be remedied...just to watch a little NFL news guys...not that big of a deal. Happy to write a review of Gamepass functionality on this app also. Subpar not fitting of what I paid for. No player search. No game search. Not close to the full online functionality (which is ok). Watching Redzone on the app is mediocre, usually takes 5-10 restarts to get the Redzone functionality to kick in. Other than that great job! Keep up the good work!